Vittorio Colao will be replaced by CFO Nick Read. Discipline in M&A and investment has helped the $72 billion mobile group beat peers’ returns. Read’s job is to make a success of the giant Liberty Global deal at a company that’s more used to pruning than growing its portfolio. 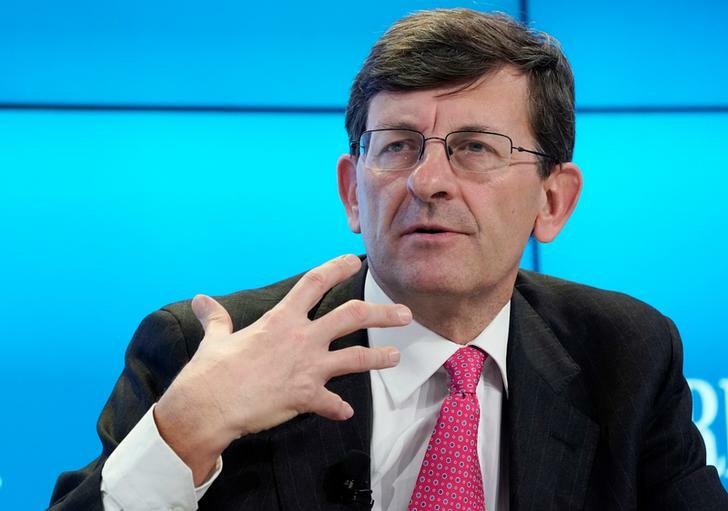 Vodafone said on May 15 that Chief Executive Vittorio Colao will step down on Oct. 1 and be replaced by Chief Financial Officer Nick Read. Margherita Della Valle, currently Read’s deputy, will take over as CFO. The group’s revenue from ongoing services for the financial year that ended in March 2018 was 41.1 billion euros, up 1.6 percent excluding the effects of mergers, acquisitions and currency fluctuations. EBITDA excluding one-offs such as disposals and restructuring charges was 14.7 billion euros, up 11.8 percent from a year earlier. The group is targeting EBITDA growth of between 1 and 5 percent in the coming financial year, and free cash flow excluding spectrum payments of at least 5.2 billion euros. Vodafone on May 9 agreed to buy cable group Liberty Global’s German, Czech, Hungarian and Romanian businesses for 18.4 billion euros ($21.8 billion), including debt. Vodafone shares were down 3.5 percent, at 200 pence, at 0750 GMT on May 15.